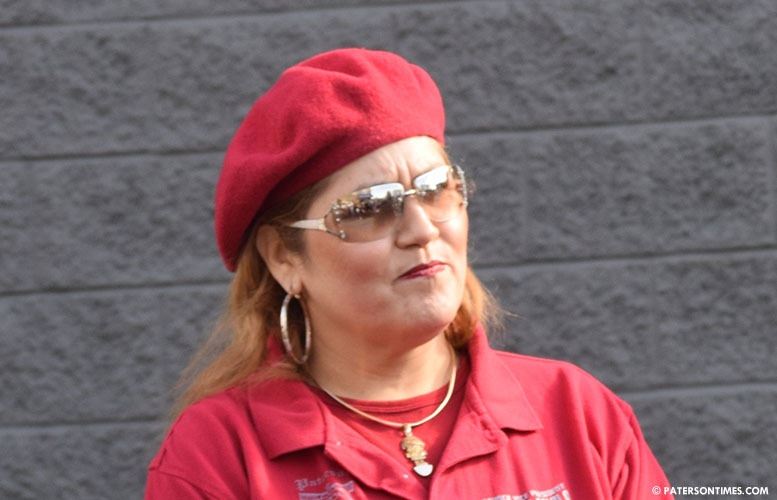 Councilwoman Maritza Davila distributed coffee mugs to supporters in mid-December that misidentified her as the vice president of the city council, a position she lost in early July. 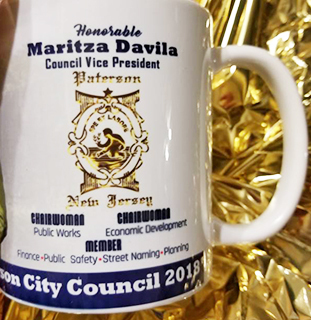 Inscription on the mug promoting her 2018 re-election campaign identifies her as the “Council Vice President.” Moreover, Davila’s mug erroneously identifies her as chairwoman of both the public works and the economic development committees. Davila brushed aside suggestions her mug were misleading voters. She said the mugs were done when she was the vice president of the council. She served as vice president of the council from July 2016 to June 2017. She has new mugs that no longer incorrectly identify her as council president, but correctly as councilwoman at-large, she said. Davila made an unsuccessful bid for the council presidency in July, but was edged out by council president Ruby Cotton. She lost the vice presidency to councilman Luis Velez. Davila lost the vice presidency as well as her chairpersonship of both the economic development and the public works committees. Velez is chairman of the public works and Andre Sayegh is chair of the economic development committee, according to municipal records. Velez said Davila should acknowledge the error and put out a correction. Davila served as vice president under councilman William McKoy, the longest serving member of the governing body. Former mayors are often addressed as mayor, said McKoy. “We give them the courtesy of referring to them as mayor even long after their years of service,” he said. Similarly, former council members are also addressed with the title councilman or councilwoman. There have not been cases where a former council president or ex-vice president is referred to using the aforementioned titles after term expiration. “I think it would have been appropriate if she used the vice president title and put a date on it,” said McKoy. Velez said it would have been sensible to add year next to the title. For example, Davila’s mug could have safely stated she was vice president from July 2016 to June 2017. McKoy often includes his past titles on his campaign materials; however, in each instance his campaign ensures a date is inserted to avoid confusion. “If you don’t do that, you confuse the public, who may believe that you are the current vice president, which is not [true],” said McKoy.